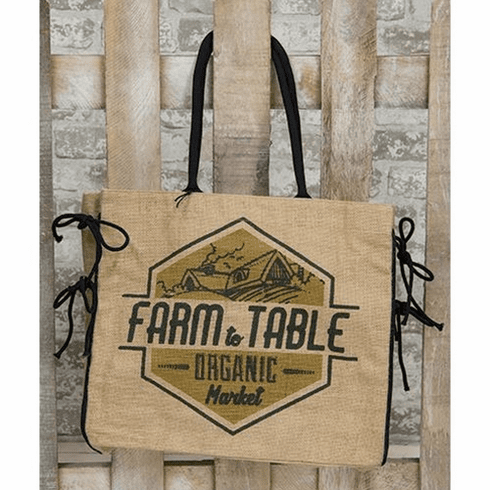 Farm to Table Burlap Tote is a lined, burlap tote bag with a pair of black, padded twill straps. Design features a vintage-style farm scene with the logo, "Farm to Table Organic Market." 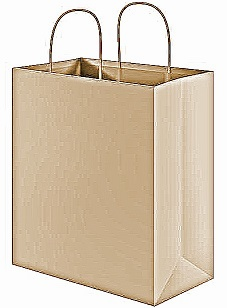 Bag includes a snap closure and an interior pocket. Measures 18" wide by 15½" high and 4½" deep.